Patrick Grady is a former senior official in the federal Department of Finance. He has written widely on economic policy, macroeconomics, and public finance. 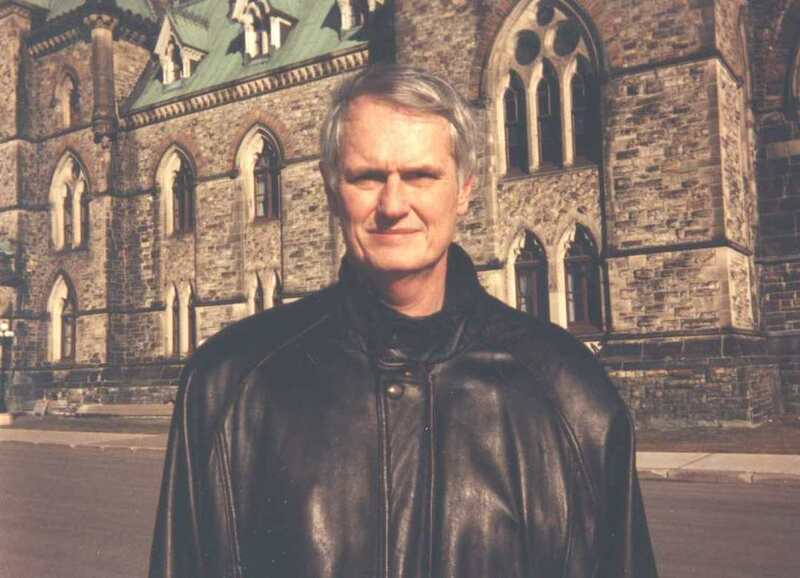 His articles have appeared in the Canadian Journal of Economics, the Canadian Tax Journal, Canadian Public Policy, Canadian Business Economics, the Canadian Journal of Program Evaluation, L'Actualite Economique, Canadian Forum, Policy Options, the Journal of Empirical Economics, Cité Libre, Business Quarterly, Globe and Mail, the National Post, the Financial Post, the Ottawa Citizen, and the Montreal Gazette. Dr. Grady's books or monographs include: The State of the Art in Canadian Macroeconomic Modelling (Department of Finance,1985); The Economic Consequences of Quebec Sovereignty (Fraser Institute, 1991); Dividing the House: Preparing for a Canada without Quebec, with Alan Freeman (Harper Collins Canada, 1995); and Seattle and Beyond: The WTO Millennium Round, with Katie Macmillan (1995); The State of Economics in Canada: Festschrift in Honour of David Slater, with Andrew Sharpe (Montreal: McGill-Queen's University Press, 2001); Florida Dreams: The Amazing Rise of the Sunshine Mega-State (Amazon.com, 2019). Grady also has written three novels. The first about the Vietnam War is entitled Through the Picture Tube (Robert D. Reed Publishers, 2000). The second called The Jade Head (Robert D. Reed Publishers, 2004) is an adventure story that takes place in Belize. The most recent, Royal Canadian Jihad, is about Islamic terrorism in Canada. After graduating from Schlarman, a small Catholic high school in Danville, Illinois, Grady attended the University of Illinois, where he earned an A.B. in political science and was inducted into Phi Beta Kappa. After being named a Woodrow Wilson Fellow, he went on to earn an M.A. and Ph.D. in economics from the University of Toronto. Dr. Grady is involved in professional activities. He was on the Board of the Canadian Association for Business Economics for many years and was one of the founding editors of its journal, Canadian Business Economics. He also served a term as President of the Ottawa Economics Association and on the Executive Council of the Canadian Economics Association. In 2008 he participated in the Carleton University Canada-U.S. Project, which was designed to provide the Canadian Government with a blueprint for Canada-US Engagement under the Obama Administration. He was on the Advisory Committee of the Team for Advanced Research in Globalization, Education and Technology (TARGET). And he was a member of Statistics Canada's Advisory Committee on International Trade Statistics from 2000 to 2009. From 1972 to 1981 Dr. Grady held various positions in Ottawa including Research Officer in charge of economic forecasting at the Bank of Canada, Director of Macroeconomic Analysis at the Anti-Inflation Board, and Director of Fiscal Policy in the Department of Finance. In 1981 he resigned from the public service to establish his own economic consulting firm, Grady Economics & Associates Ltd. From 1981 to 1986 he practiced as a consultant. On one consulting assignment, Dr. Grady served as Project Director for the Economic Council of Canada's Annual Review for 1982, Lean Times. He also worked for the Macdonald Commission on the economy as a member of the team that drafted the part of its final report dealing with economic growth and employment. In July 1986 Dr. Grady accepted a two-year term appointment to serve as the first Director of the new Economic Analysis and Forecasting Division in the Department of Finance. Following its completion in June 1988 he returned to the consulting business and was cofounder of Global Economics Ltd.
During the 1993 election campaign, Dr. Grady advised the Liberal Party Platform Committee on the cost of campaign promises and other election issues. He was responsible for preparing the detailed costing of the election platform that was presented in the famous Red Book. From October 1994 to February 1995 Dr. Grady served as Chairperson of the Working Group on Seasonal Work and Unemployment Insurance. After traveling from coast to coast and hearing from almost a thousand individuals and groups, the Five-Person Working Group he chaired issued its report Jobs with a Future, which made recommendations to the Minister of Human Resource Development for the reform of Unemployment Insurance and labour market programs as they affected seasonal workers. Most recently, over the five-year period ending in August 2011, Dr. Grady served as an Intermittent Budget Advisor for the Office of Technical Assistance in the United States Department of the Treasury. As a PSC, he undertook a number of short-term assignments providing training and technical assistance in economic and revenue forecasting to ministries of finance in Mauritius, Costa Rica, Honduras, and Guatemala. He also participated in an exploratory needs assessment mission to Haiti after the 2010 earthquake. Dr. Grady has a proven track record as an economic consultant and as a manager of economic consulting projects. Over the years his clients have included most Canadian federal government departments concerned with economic matters and many private sector firms and associations. He has also worked for international organizations including the World Bank, the United Nations, and the International Monetary Fund and has had short-term assignments in over thirty five countries overseas. Send Patrick Grady an e-mail.